No wires needed. Use your own piano or keyboard and a mobile device. 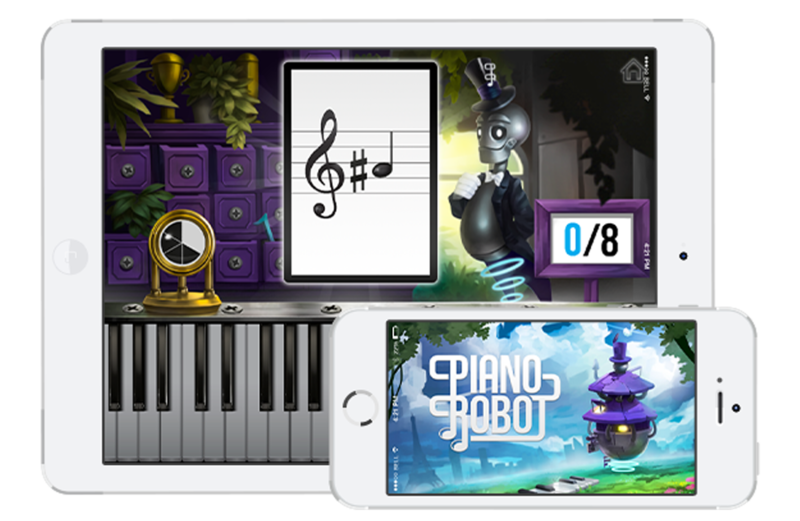 "My students are learning 50% faster with Pianorobot"
"I practise with Pianorobot everyday and now I can play melodies from my favorite songs"
Our mission is to make learning and teaching music available for everyone. Don't waste money on dusty books when you can have everything you need to learn in one app. Copyright 2015 Pianorobot - All rights reserved. Patent pending. Join our mailing list and get news about Pianorobot. Join our vip list and get early access to Pianorobot.